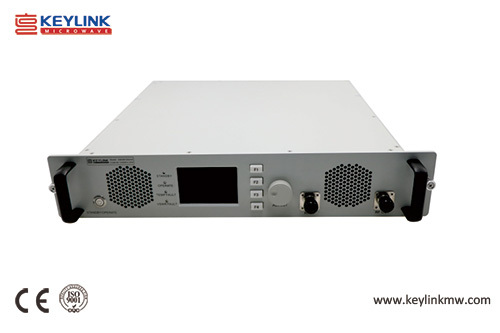 19-inch rack mount,solid state power ampliifer, rack mount system,19-inch Rack Mount(2U)-Solid State Power Amplifier-Chengdu Keylink Microwave Technology Co., Ltd.
KeyLink Microwave is mass producing a 20 Watts 80MHz to 1GHz amplifier in a compact 2U package for oversea market. It is a rack mountable-unit incorporating a universal voltage power supply and a built in forced air-cooling system. 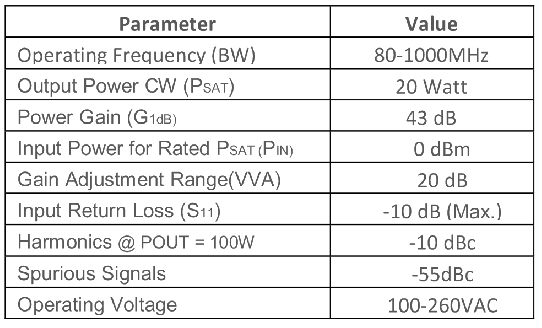 This amplifier subsystem utilizes LDMOS power device that provides excellent power density, high linearity, low distortion and wide dynamic range. The KB00810S43A SSPA is ideal for EMC testing to various industry standard as well as Broadband Communication.